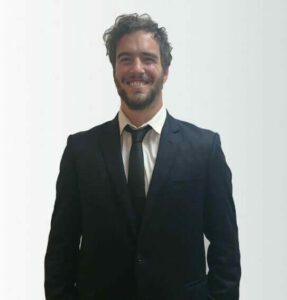 Javier Alegre is the Country Manager at Biz Latin Hub´s operations in Argentina. Born and raised in Buenos Aires, Argentina, he studied law at the renowned ‘Universidad de Buenos Aires‘ (or UBA as it is commonly known) and graduated in 2013. After graduating, he worked in a corporate law firm for the Buenos Aires City Government, and later, in a renowned Argentine energy company. The first few years of Javier’s career were focused on corporate/commercial and consumer law. Javier has proven to be an ideal Country Manager for Biz Latin Hub in Argentina, having a comprehensive knowledge of the local Argentine business environment. His experience working in the law department for companies in a range of sectors has allowed him to gain a deep understanding of the best ways to successfully enter and operate within the Argentine business environment. Combining these factors with the fact that Javier his bi-lingual (English/Spanish), ‘Team Argentina’ are able to provide tailored guidance to support their client base operating in Argentina. Javier has travelled (for both business and leisure) to a variety of Latin American countries including Colombia, Peru, Ecuador and Brazil. While being a specialist in commercial activities in Argentina, he has been professionally involved with other countries in Latin America, which has contributed to his great general knowledge regarding a variety of jurisdictions in the region. Javier started at Biz Latin Hub in September of 2017, and since then, he has welcomed the challenge and the excitement of working with individuals and companies from all corners of the globe – one of the great benefits of working with a group such as BLH. “It´s been a challenge but a rewarding challenge. I like to get out of my comfort zone and work with people from a variety of countries, cultures and languages. It makes me both proud and excited to see an increase in commercial interest here in Argentina”. Javier has travelled (for both business and leisure) to a variety of Latin American countries. Since he was a child, Javier has had a passion for rugby. Unfortunately, he had to stop playing because of a neck injury, resulting in a series of surgeries. Despite this, Javier is still heavily involved with his local rugby team, where many of his friends still play. In his free time, Javier enjoys going to his local sports club with his friends to watch rugby games, keeping his passion for the sport alive. When he is not busy working, he likes to get away from his busy life by going to his family´s farm that´s only a few hours from the Buenos Aires. There, surrounded by mountains, animals and nature, he enjoys horseback riding and mountain trekking in the beautiful Argentina countryside. Get in contact with Javier and see how his team in Argentina can support you and your business in Argentina at [email protected].